Kelly Hudson Properties present this excellent opportunity to acquire this two bed apartment, in a prime location. Well appointed and superbly maintained, this residence is available immediately. Bright and spacious accommodation which comprises briefly of living area, kitchen, two bedrooms and bathroom. A cracking property for any one wishing to downsize or for a first time buyer wanting to get on the property ladder. Conveniently located in Rathangan close to all local amenities, including shops, schools, restaurants. The M7 is approximately a ten minute drive thus providing easy access to all major routes. Rathangan is also within easy reach of the popular surrounding towns of Newbridge, Naas, and Kildare Town and is very close to Dublin. Hallway: c.2.15m x c.2.24m Wooden floor, light fittings, telephone point, alarm point. Kitchen: c.2.36m x c.2.56m Ceramic tiles, light fitting, fully fitted kitchen, tiled splash back area, stainless steel sink, area fully plumbed, fridge freezer, oven, hob, extractor fan. Sitting Room: c.4.89m x c.5.09m Light fitting, feature fireplace with a wrought iron insert & polished hearth, curtains, blinds, wooden floor, TV point. Bedroom 1: c.2.83m x c.3.84m Light fitting, fitted wardrobe, carpet, curtains & blinds, TV point. Bedroom 2: c.3.06m x c.3.36m Light fitting, fitted wardrobe, curtains & blinds, TV point. 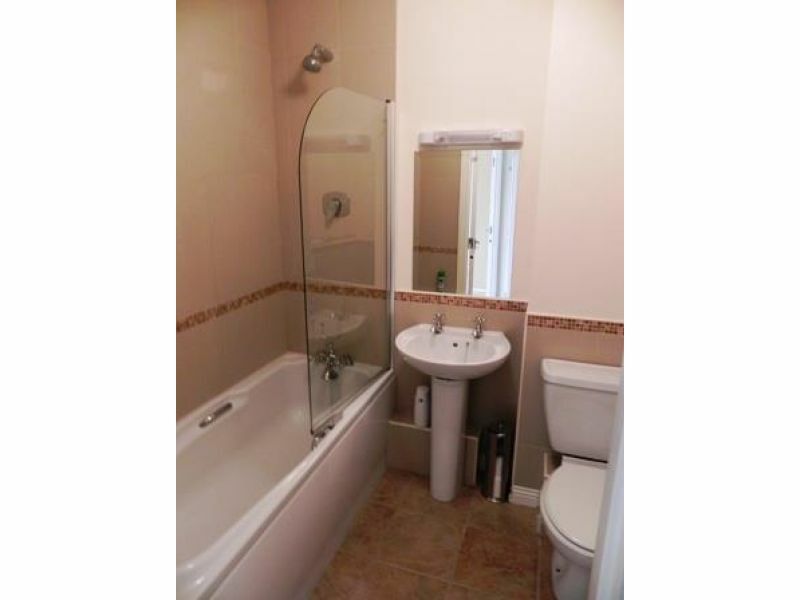 Bathroom: c.1.77m x c.2.10m Tiled floor, bath, bath with shower, shaving light & socket, WHB, WC. Fully alarmed Hardwood hall door Carpets, curtains, blinds & light fittings included.